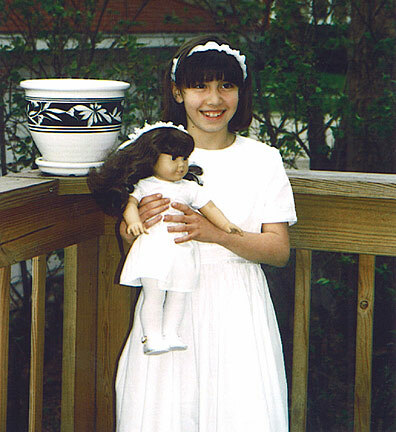 Anna's First Communion dress and her doll's dress were made from cotton percale with damask ribbon trim at waist and sleeve edge. Both dresses were made in keeping with Anna's specific request for no ruffles, poofs or shiny stuff. Joan made both dresses.